Bait Boats There are 3 products. 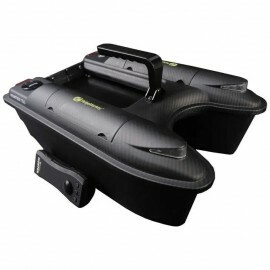 The compact SB3 Pro-G5 has set the bar level high in the world of bait boats, at just 50 cm long and an amazing 3.9kg including boat battery, the overall weight reduction of the SB3 Pro-G5 allows for optimised weight distribution, greatly contributing to the balance and perfect centre of gravity required for tight turning even at max speed fully loaded. One of the first things you will notice about the SB3 Pro Plus compared to the SB3 Pro is the spotlight system and secondly the Carbon finish, most of the other differences are less obvious, such as the internal electronics. 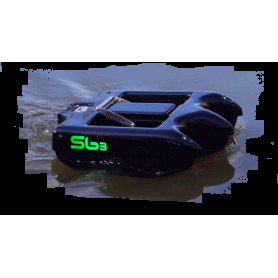 The SB4 is the result of listening carefully to like minded carp anglers and thinking outside of the box with over 3 years of development and intensive secret field testing, we are now pleased to say the results speak for themselves, the super compact body structure of the SB4 just oozes style and quality.